Matsu Health Yuan, located in Fuhshing Village of Nangan Township, was established in 1956. Its main professional work was medical service. 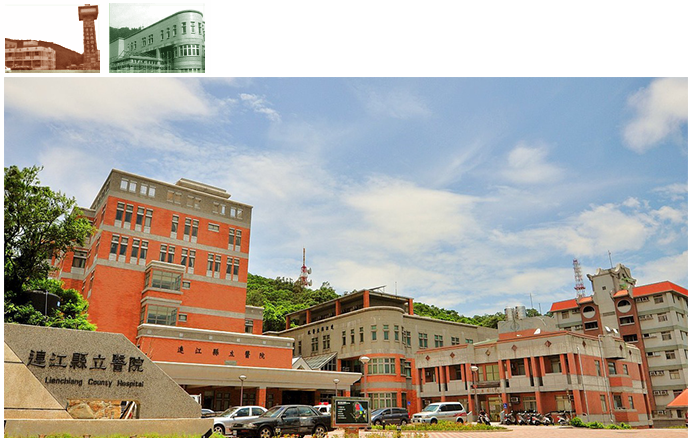 In July 1956, the name was changed to Lienchiang County Health Yuan. The name Matsu Health Yuan was changed to Lienchiang County Hospital, and belonged to the Lienchiang County Health Bureau in July 1993. The new medical building was finished in January 2001 and provided 50 sickbeds for Matsu inhabitants. A total of 100 sickbeds is available when combining the 50 sickbeds in Matsu Army Hospital. There are 11 departments: internal medicine, surgery, pediatrics, obstetrics and gynecology, ophthalmology, rehabilitation, dentistry, nursing, medical laboratory diagnosis, pharmacy, and medical imaging. The hospital also provides gastroscopy, colonscopy, and abdominal sonography examination. Since air travel has become much more convenient, the emergency first aid helicopter has also been added to the hospital’s services. It provides an extra safeguard for local people’s life. We have implemented integrated delivery system (IDS) program—supported by the Bureau of National Health Insurance—for 3 years, and it has been a great success in cooperation with the Taipei City Hospital. Doctors of different specialties are being invited and have periodic OPD session in our hospital through the IDS program. Now we invite you to join us in serving the local people on these beautiful islands, and let the green islands be a promised land for all.